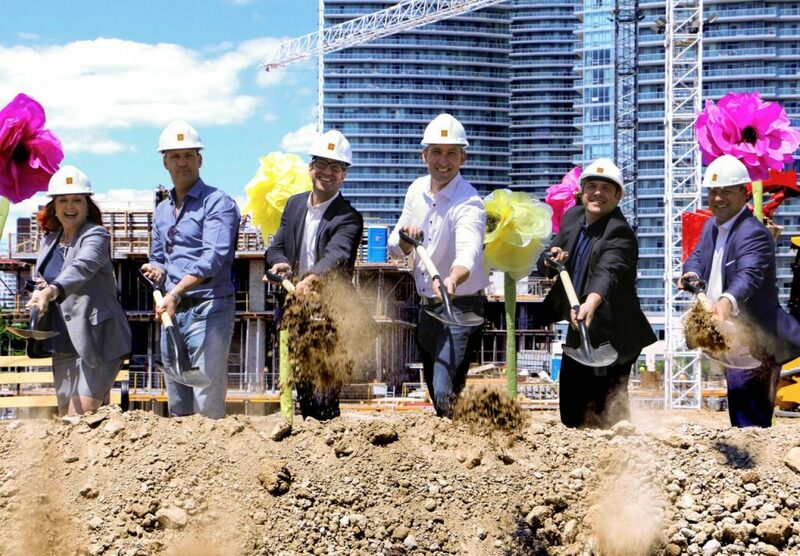 North York’s Emerald City by Elad Canada is bustling with activity. Having just launched The Park Club Condos as the next residential tower in the master-planned community, the developer is also celebrating the official groundbreaking of Fifth on the Park, the second tower in phase two of Emerald City. When completed in 2018, the sleek point tower will rise 24 storeys above Block B, adjacent to sister towers The Park Club and The Colours of Emerald City. Designed by WZMH Architects, Fifth on the Park’s contemporary exterior will be anchored by a three-storey podium with ground floor retail venues. 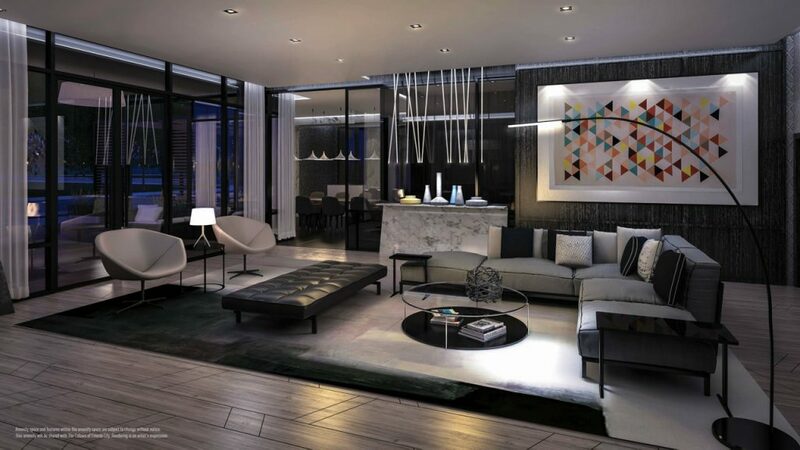 Inside, residents will be surrounded by elegant interiors designed by the acclaimed team at II BY IV Design. 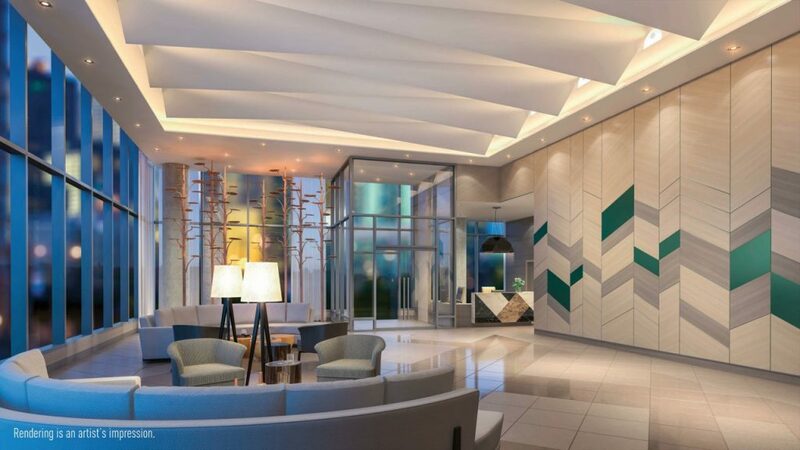 The inviting lobby will provide a warm welcome to homeowners and guests with cozy seating areas, a fireplace and concierge. The amenities floor is shared with The Colours of Emerald City and features a stylish lounge with sofas, a dining room, and fully equipped kitchen for entertaining. Residents will also have access to an outdoor patio for barbecuing and alfresco dining, as well as a swimming pool and hot tub, saunas, fitness room, arcade and games centre, and even a karaoke and theatre room. The newly opened Parkway Forest Community Centre is also just steps away offering even more amenities and activities for all ages. These include a full-size gymnasium, weight room, dance studios, running track, craft and meeting rooms, youth lounge, commercial teaching kitchen, YMCA-run daycare centre, rooftop garden and an aquatic centre with an outdoor pool. 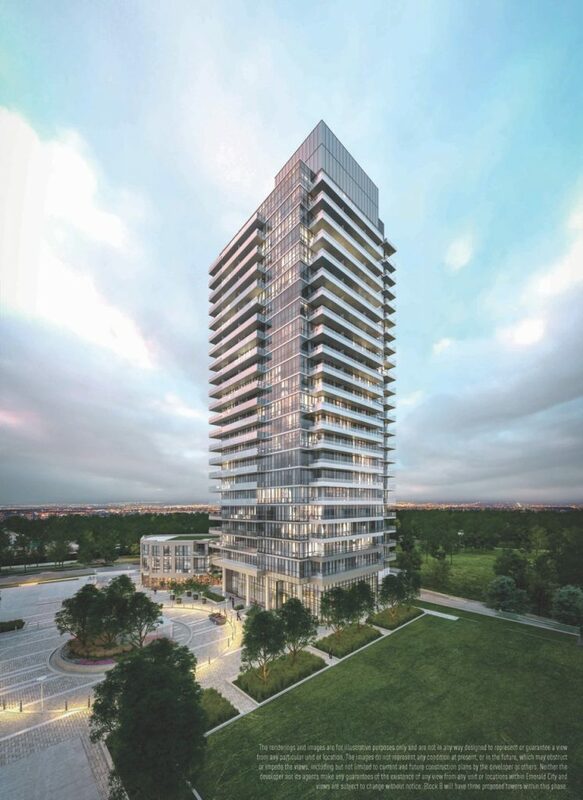 The neighbourhood is also dotted with parks, schools and cafes and is just steps from the Don Mills subway station and minutes from major thoroughfares like Don Mills Road, Sheppard Avenue East and Highway 404. Priced from the mid $200,000s, the suite sizes range up to 818 square feet and come with an impressive array of standard features and finishes. Wide plank laminate floors, nine foot ceilings and stainless steel kitchen appliances with an integrated dishwasher are just some of the standard features in every home. 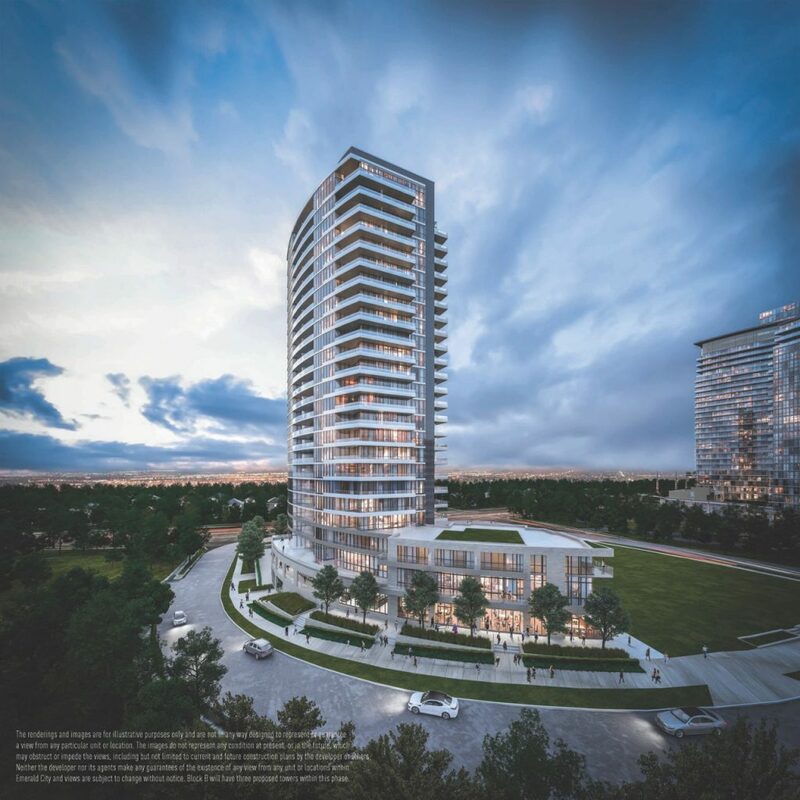 To learn more about Fifth on the Park and the master-planned community of Emerald City, visit the presentation centre on Sheppard Avenue, just east of Don Mills Road, across from Fairview Mall. Hours are Monday to Thursday from 11am to 6pm and weekends from 12pm to 5pm. For more information, call 416 492 0001 or visit emeraldcitylife.ca.